Nowadays it’s important to keep up with what’s happening in the world. Being one of the first to know something is important to people. While often that can be down to people just wanting to be ‘in the know’, when it comes to property it is much more important than that. You could miss out on your dream home and not even realise it if you don’t know it was on the market. That rental property in the in-demand area could be gone before you have a chance to react or a viewing could be missed because you didn’t know it was happening. 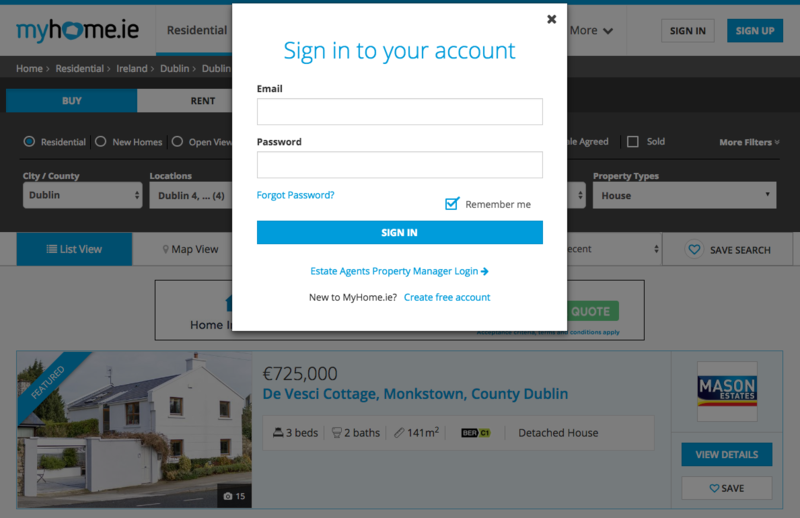 You need never fear missing out on this kind of information if you sign up to the MyHome.ie Property Alerts. By doing so you will receive an email whenever a property that matches your criteria comes on the market. All you have to do is determine your interests and how often you would like to know about new listings. Below we detail a step by step guide on the simplest way to set up an alert. From residential to commercial, buying or renting, to location and price, simply select your options and click ‘Search’. More options are available using the ‘More Filters’ option. Just below the search bar you will see a ‘Save Search’ button. Click this to save your search. If you have an account you will be asked to sign in. If not you will be asked to set up an account. Just below the ‘Save Search’ option a menu will appear allowing you to select the frequency with which you receive emails from hourly to weekly. Select your option and click ‘Save This Search’ to complete the process. Emails matching your criteria should begin to arrive as properties come on the site. If for whatever reason you are not receiving emails, please check your spam folder.